The toy we know and love as Shockwave is one of a handful of G1 toys that didn’t start as a Takara product. 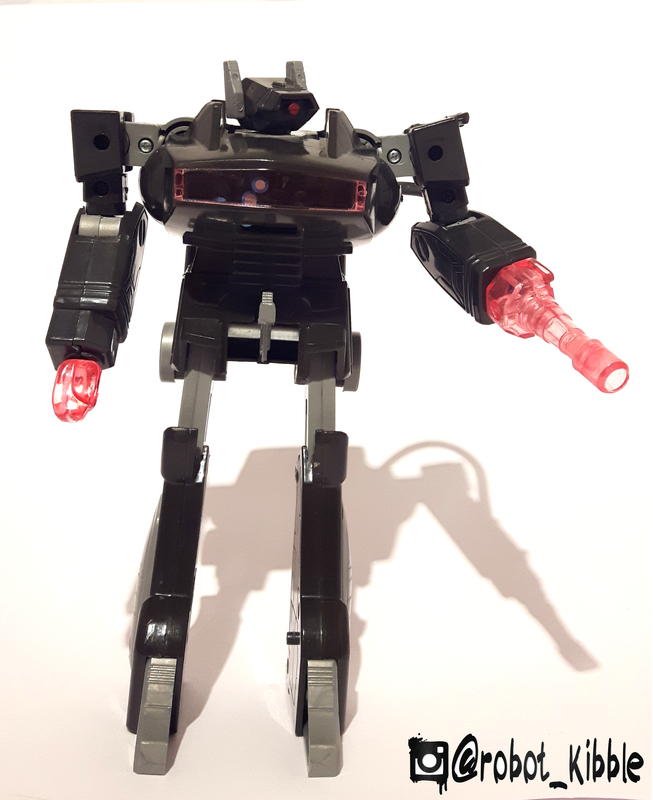 Originally manufactured by Toy-co and released in 1983 under the name Astro Magnum in grey plastic, this figure was knocked off almost more than the Jumpstarters mold, and the KOs often changed the metal in the legs to plastic, and often changed the clear plastic to a pinky-purple (which is the version we’re using in this article). Affectionately known by some collectors who bought a later, fully licensed version known as Galactic Man from Radioshack (later Tandy, ask your parents) as Shackwave. 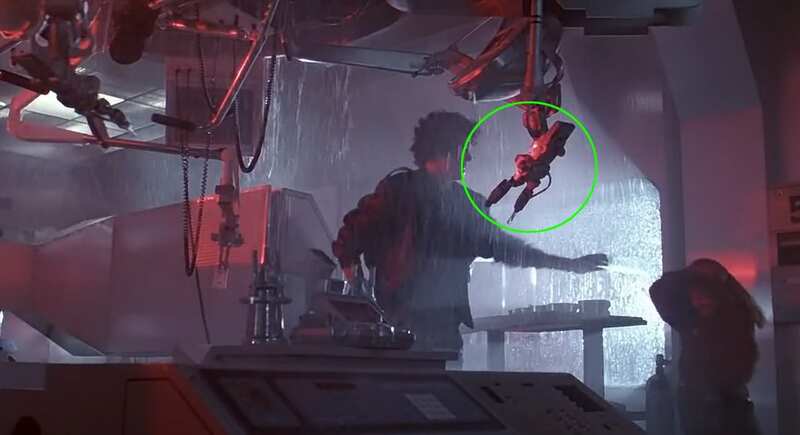 Curiously touted as a 4-changer, this mold is famous for not just for it’s eventual release in Transformers, but also for its cameo appearance in the Aliens movie, where it displayed one of the lesser known but none-the-less officially sanctioned alt. modes. 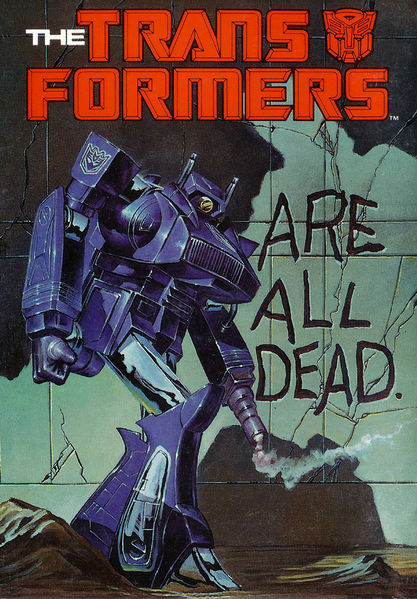 When it was ported over into the Transformers line in 1985, not only did the character change into a more Decepticon purple, but the powers that be at Hasbro / Marvel seemed to recognise that his alt. mode didn’t quite fit in with the other Diaclone / Microchange figures, and made the choice to release the first Cybertronian mode Transformer. This meant that in the cartoon, Shockwave was little more than a guardian of (the seemingly near deserted) Cybertron, appearing in the very first episode but not getting a toy until the following year. GerGun mode? Not official, but a built in display solution! 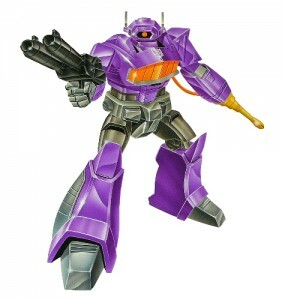 There are however, definitely two Shockwaves known to the world, and I don’t mean purple and grey. 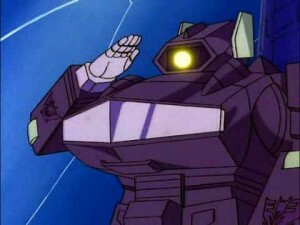 Fans of the comic series know Shockwave as a very cold, logical and efficient Decepticon, almost an equal to Megatron and certainly more ruthless. 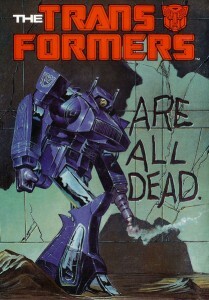 Indeed, in these comics, Shockwave is responsible for the creation of the Constructicons and Jetfire after defeating EVERYONE, and his origins also tie the Dinobots firmly into the Marvel 616 lore thanks to his landing in the Savage Land. In the cartoon, he is essentially a hotel elevator operator for the Space Bridge. But at least he survived the movie. 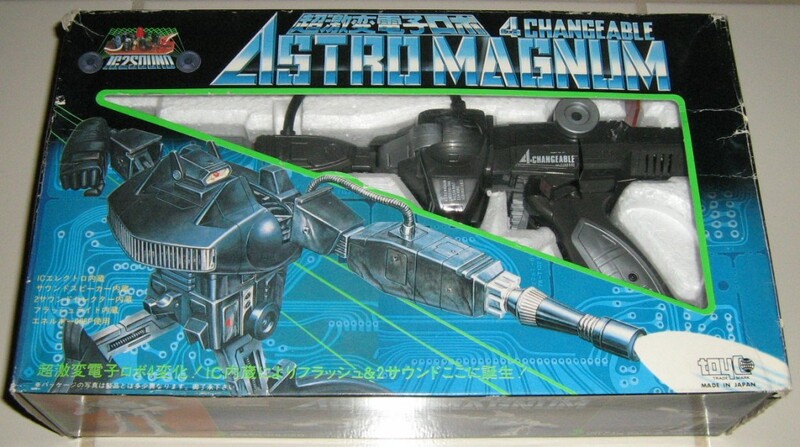 Other than the colour changes, the Hasbro release changed one minor thing; the unfortunate shape and positioning of Astro Magnum’s trigger. Perhaps predicting the sort of humour to be found in the boys toys aisle, they shortened and flattened the trigger. 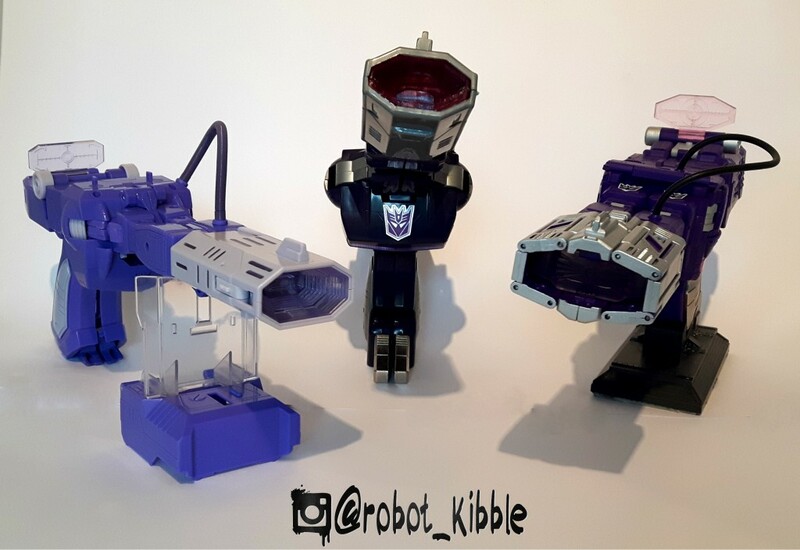 The toy looks great in robot mode, large and menacing, he is closer in height to Ultra Magnus than Prime or Megatron, and I’m sure in some parallel universe (probably one with MB distribution) Shockwave is the leader of the Decepticons against the Autobot leader Jetfire. 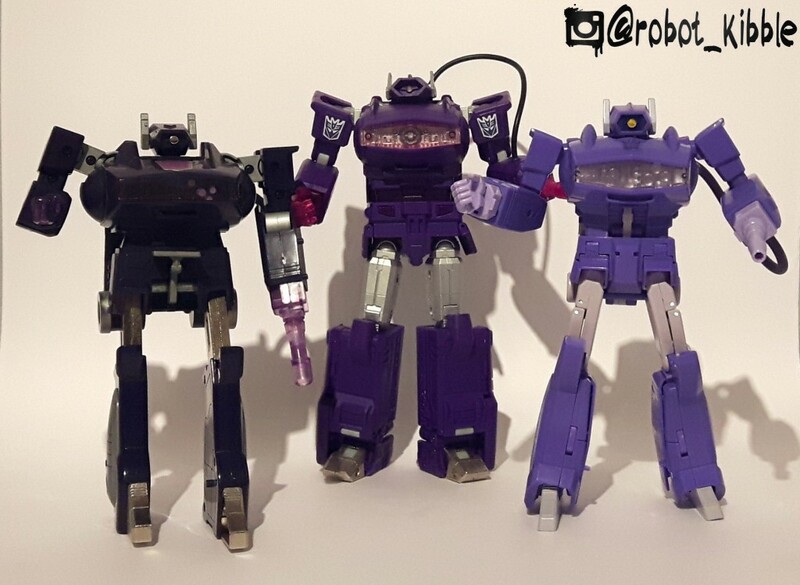 You can compact the legs down and have a shorter Shockwave, closer in height to the main ’84 cast, but his large upper body is perhaps too broad for this. The transformation is very fun and instinctive, but does include one example of partsforming. 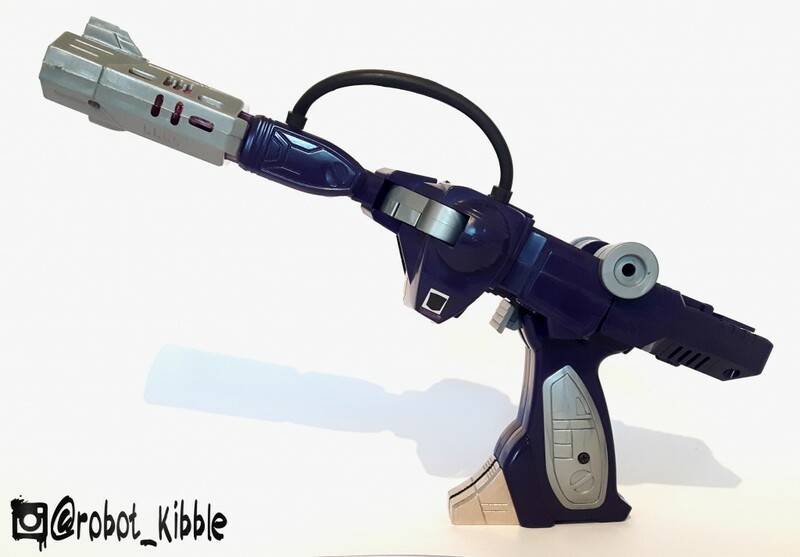 This isn’t totally uncommon for G1 (Optimus Prime’s fists, Megatron’s stock and barrel), but the part in question has little use in other modes and cannot be stored anywhere. There are trouble spots on this mold; most notably the rubber hose which perishes over time with very little external pressure, and it’s not uncommon for the gun-barrel on his left-hand to be broken. Also, I have come across several of these with dodgy legs, where the joint doesn’t stay locked out and the figure tends to collapse to one side (we call this Sandstorm syndrome!). Overall, I think he’s a great toy, and I wish I’d gotten him when I was young enough to run around making pew-pew noises. 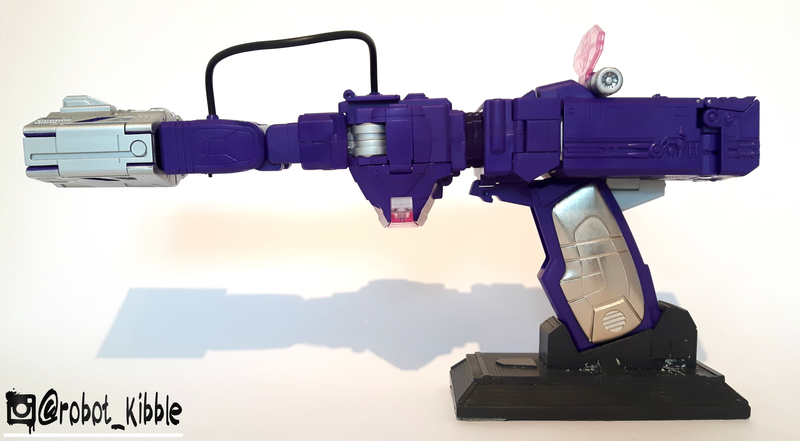 Over the years we’ve had several Shockwave updates, from the divisive Action Master, the weird and wonderful Binaltech Laserwave Mazda version (also known as Alternator Blastwave), a fun Energon re-imagining as Shockblast which completely changed his character, and in recent years some more disappointing offerings in the form of CHUG, Cloud, and Legends renditions. 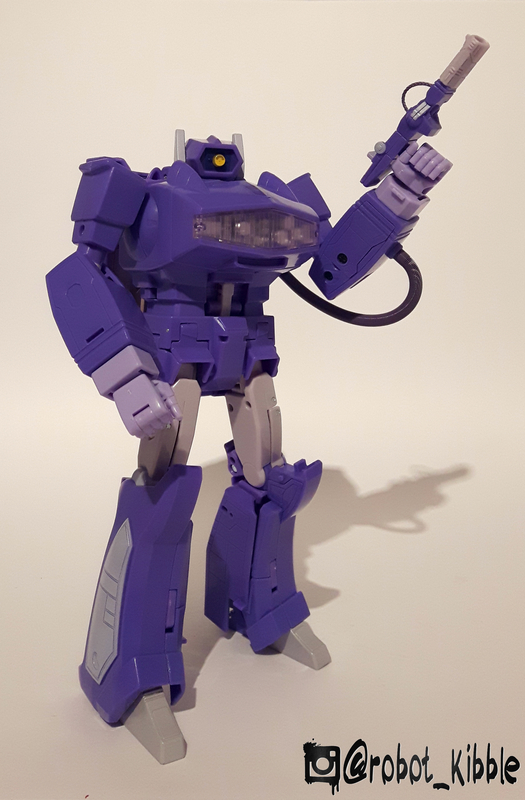 However, the first unofficial Masterpiece styled offering soon gave us fans what we want from a Shockwave, in the form of the 2013 Fans Toys Quakewave, later released in grey as an Astro Magnum homage. 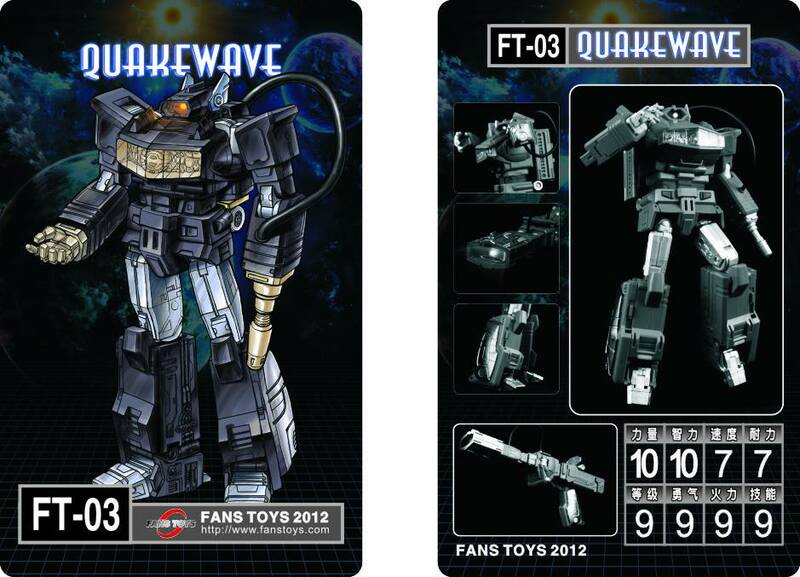 Quakewave is a solid, heavy toy, with plenty of die-cast in his legs to give him some extra weight. Both his eye and his hand light up, which is a great addition that harkens back to the original (but no electronic noises, for shame). In robot mode, he looks like a legitimate threat, and you can believe this guy went toe-to-toe with the Dinobots and survived! The transformation is surprisingly simple. 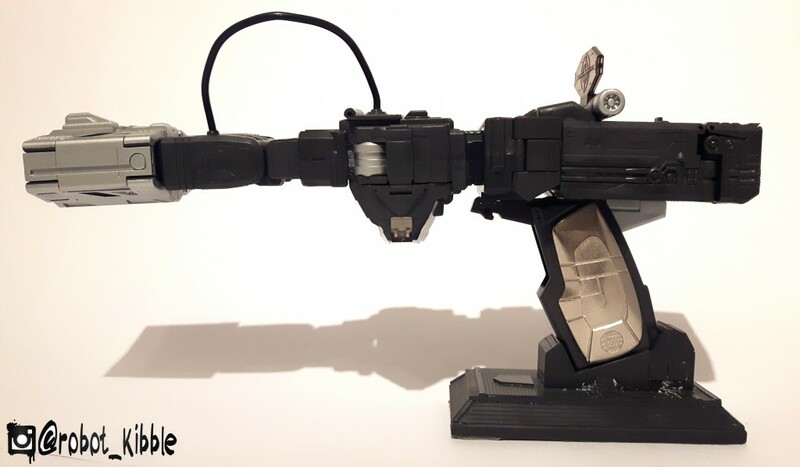 I sometimes feel that 3P MP’s go overboard in complexity (Badcube Sunsurge, most Reflectors), but not so here, Quakewave transforms pretty similar to the original, but with some really solid Eureka moments. 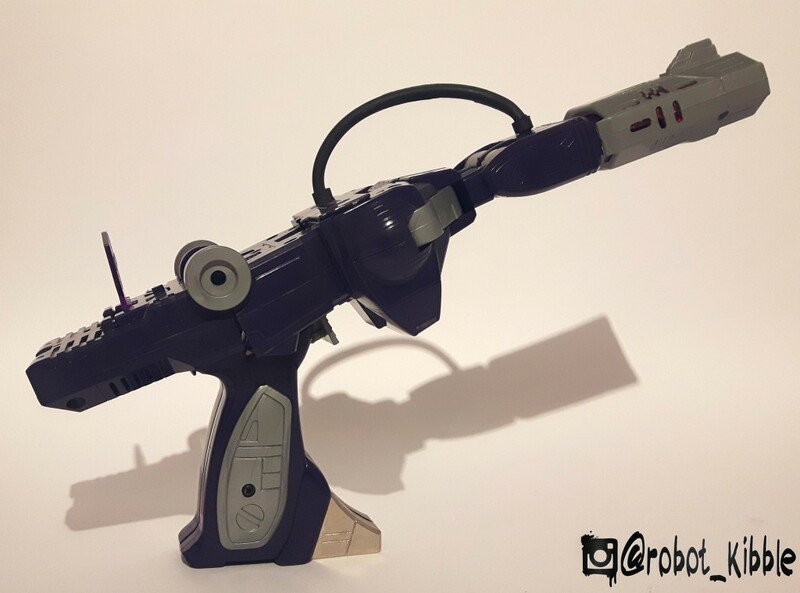 His head hides away brilliantly, his arms do exactly what you expect them to, and his backpack has a genius inside-out fold to become an effective way of hiding his gun barrel. He comes under some criticism for his over-arm arm-hose, rather than the traditional under-arm. However, FT later released an upgrade which fixed this. For me, it wasn’t a big enough difference to change it. 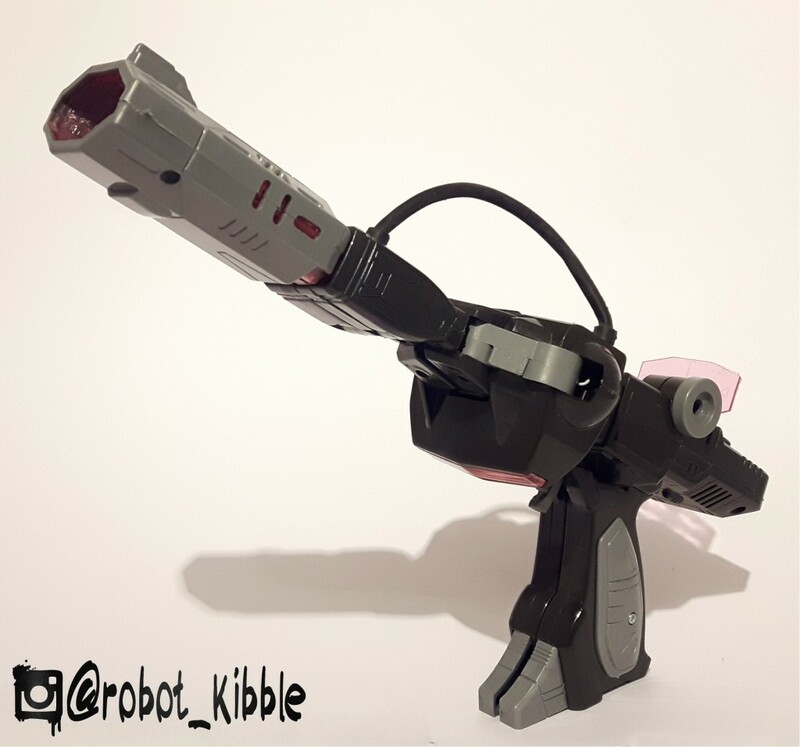 One of the biggest changes is the fold up backpack at the end of the gun, instead that is half of his legs, the rest of which form the satisfying and heavy die-cast handle. To me, this is one of his greatest strengths, as it really helped bulk out his entire form to be more in line with the comic appearances. The alt. mode of a Space Laser Cannon Thingy does exactly what you would want or expect it to, even if the mid-section swivel could do with having a locking mechanism for this mode. It doesn’t NEED it, but it wouldn’t have hurt to make it feel more secure. 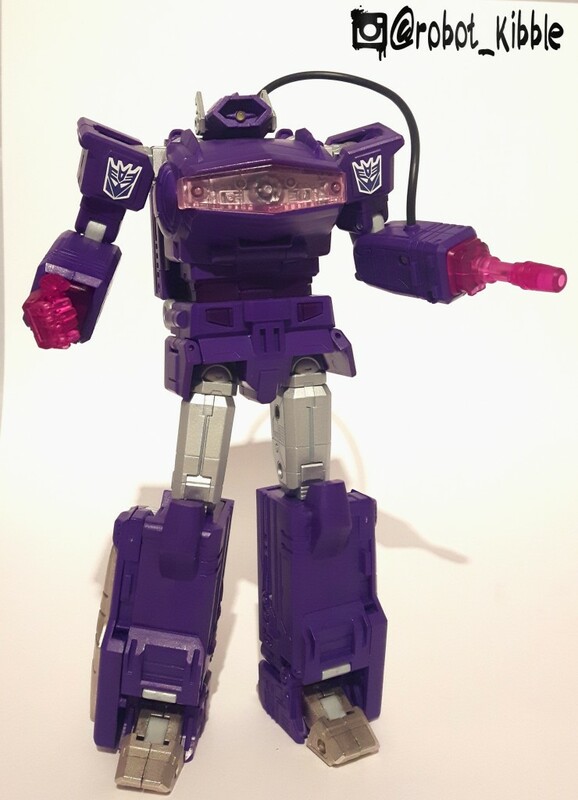 This guy narrowly beat out MMC Hexatron as 3P toy of the year 2013 in the TFW2005 poll, but fast forward a few years, and is he still that popular? 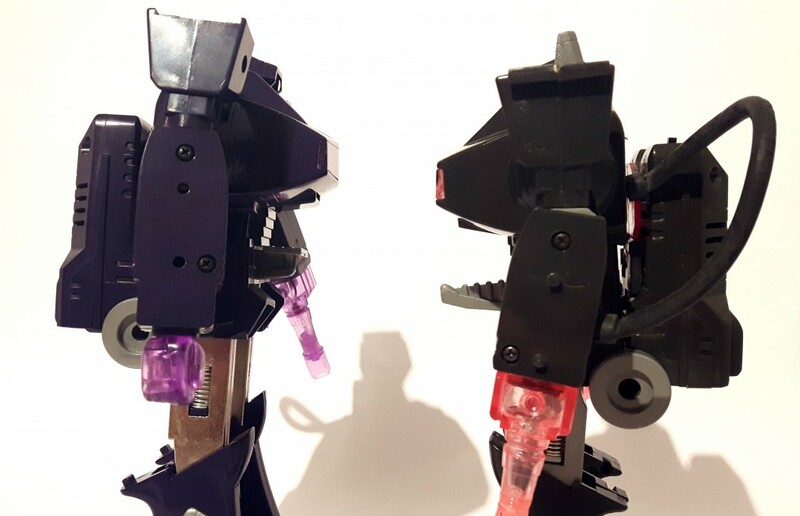 Let’s take a look at the competition, and see if Quakewave is still relevant in a post MP-29 world. 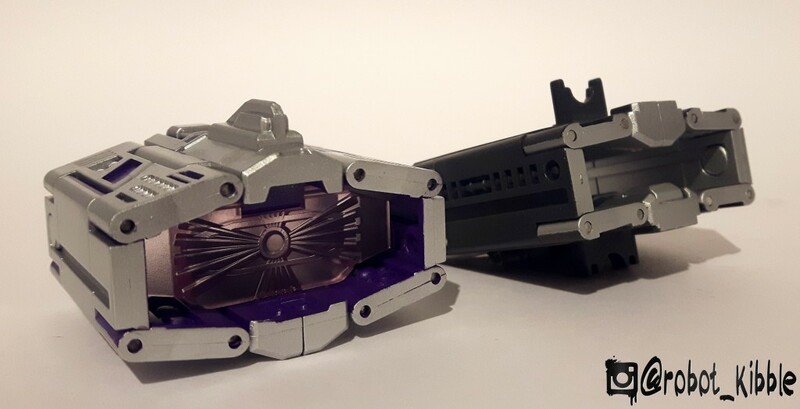 So here we have Takara’s Masterpiece offering. With the release of this figure, is Quakewave still relevant? And if not, what does that mean for the future of the 3P “Masterpiece” range? Let’s start with the positives, opening up the package, I absolutely adore the colouration. I wish Takara or eHobby would re-release the original in this colour scheme. IT. IS. PERFECT. Masterpiece; not just a scale, but a state of mind? 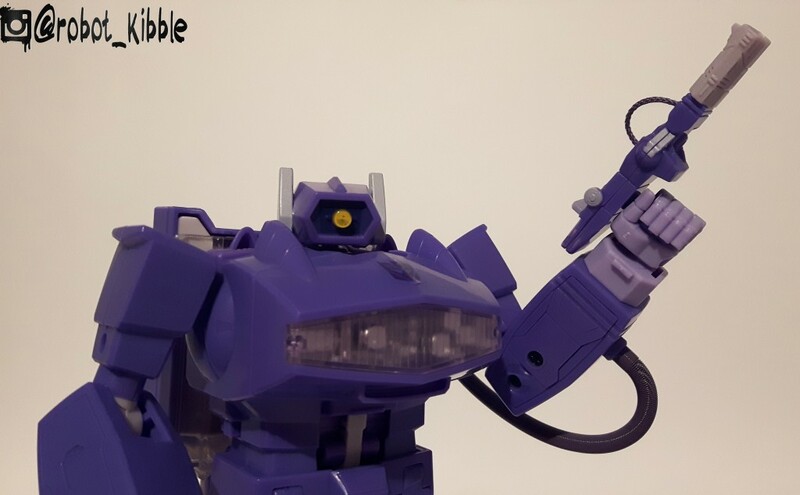 I love the accessories, a choice of solid or translucent colour hands really work for me, and the option to include a proper pre-Empurata Shockwave left hand is awesome too, so he can brandish himself as a weapon in a homage to those oh-so-common animation errors. I like the fact that the barrel no longer partforms but compacts onto his back, very smooth. As it also doubles as a stand for him. Granted, I think the Heirofthedog custom stand for Quakewave is a much more elegant display solution, but I’ll take this. If you love this figure and don’t like hearing different opinions, stop reading now and we can remain friends. I don’t like anything about the way this figure transforms, it’s weight, it’s height, or some of it’s proportions. I don’t know why, as I was firmly expecting to prefer him to Quakewave, but that centimeter or so of height takes a lot away from this figure. The legs, including that double-hinge in the thigh (and the permanently visible line that creates) really turn me off. The inside of the legs, including flappy tabs to fill out the inner leg really feel very amateur to me. Even the presentation of the packaging feels like a let down, I really miss the booklets that used to come with them that used to show the entire history of the character’s releases in Japan, you just don’t get that any more. 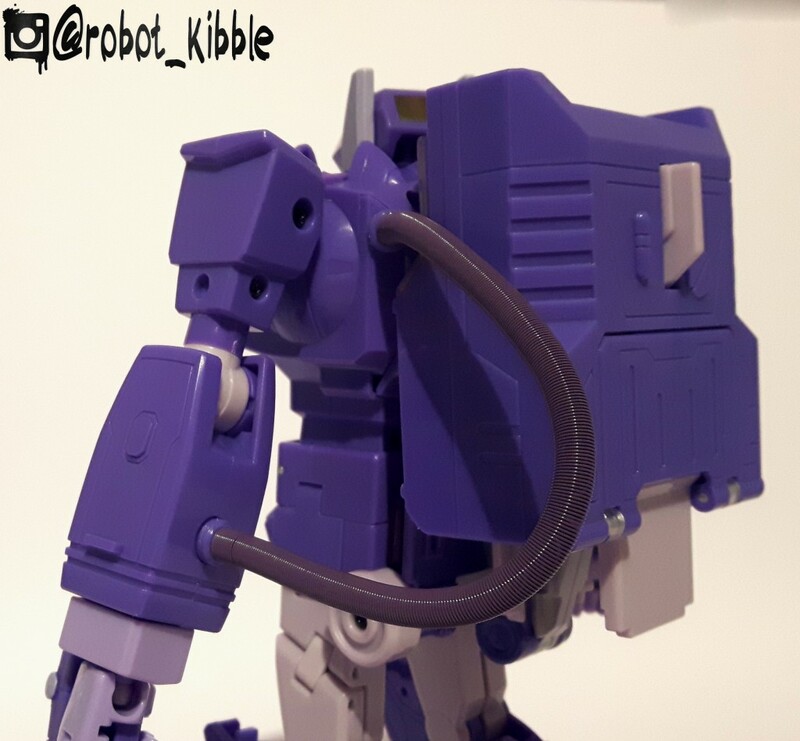 It’s a shame, as I really love so much about this figure (head, chest, arms, hosepipe, COLOUR), but overall, he just doesn’t feel like a Masterpiece. To me. 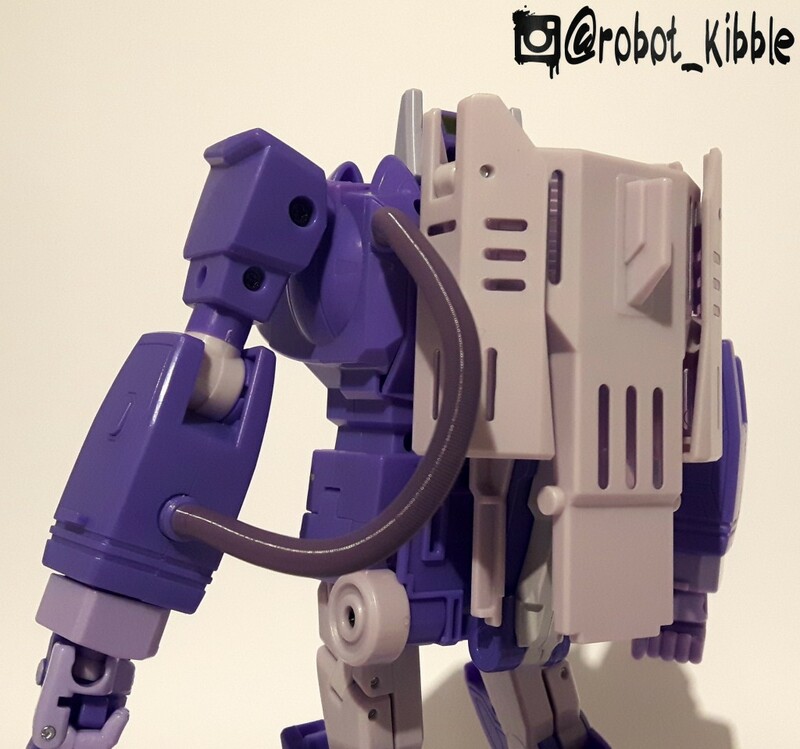 I’m sure the weight has a lot to do with that as well, but it’s more the feel of the toy as I transform it and pose it, it just didn’t feel or look quite like what I want it to. I suspect a lot of that is to do with the fact that despite this new toy, I still really love – and prefer – Quakewave. 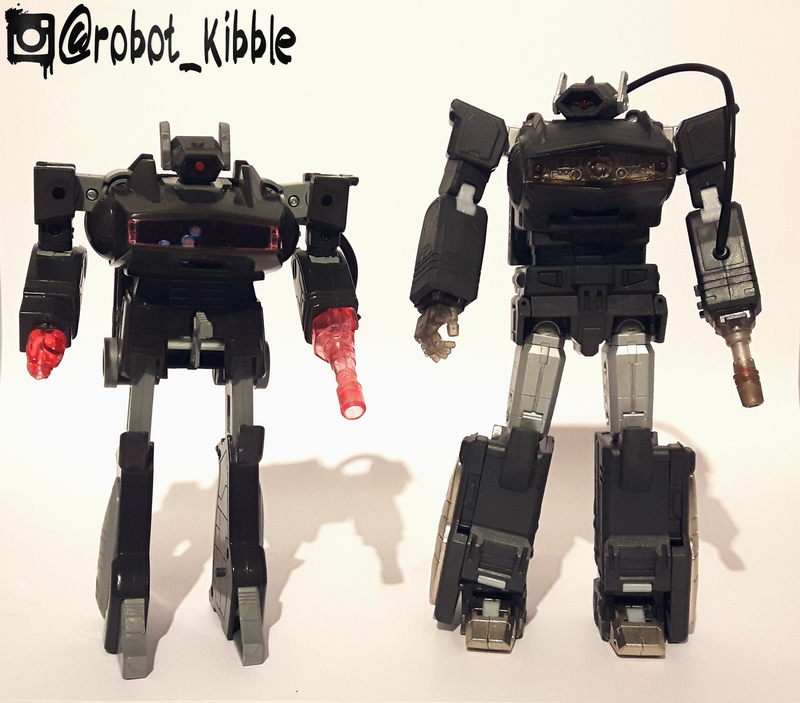 I’ve written elsewhere how I don’t quite feel the current MP range lives up to it’s Masterpiece title, and while everyone can agree there has been a shift in sensibilities between MP01 and MP10, I feel there has been another shift since then. When MP10 came out, I believe the line was a fine balance of three things; realistic alt. 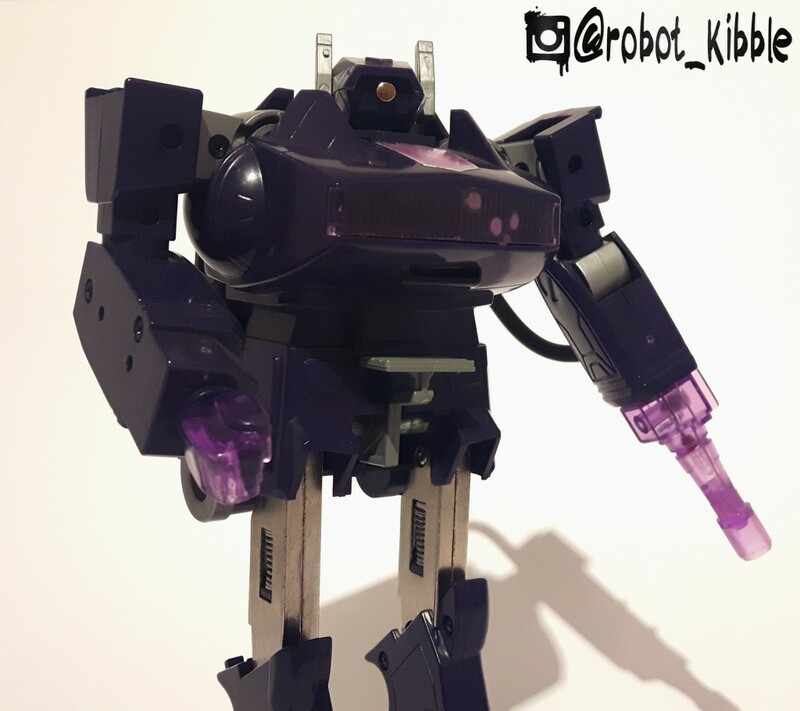 mode, an attempt of staying true to the original toy concept, whilst also paying attention to the animation model. 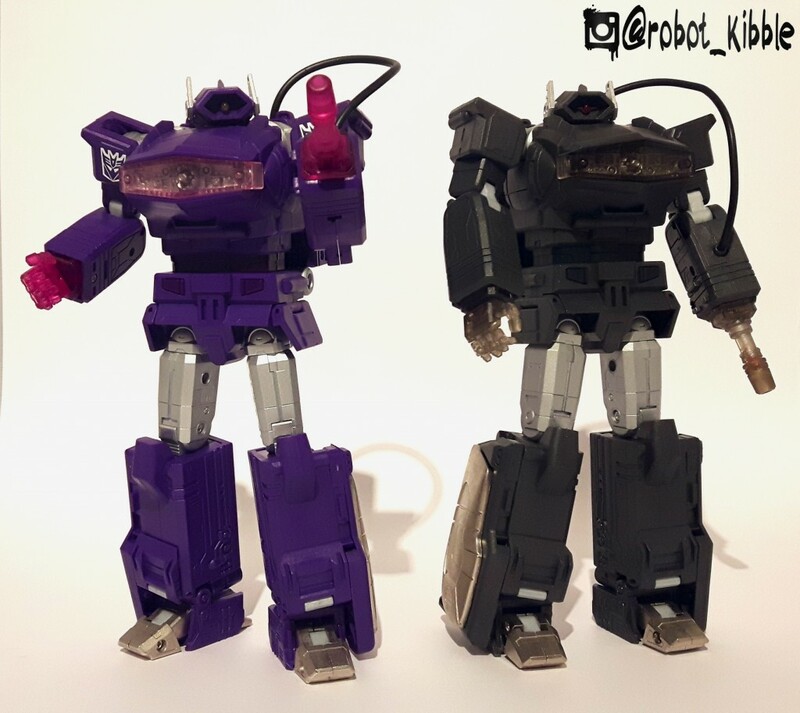 I believe Takara have abandoned this concept in favour of outright animation model tribute, and we can see this very clearly with the legs on Ironhide and the forthcoming Inferno. In a way though, this can be a very positive thing. For a while, I feel a lot of MP collectors felt that their 3rd party Masterpiece offerings were merely a stand-in for the “real thing”, and while I’m sure many people still feel that way (check out the market value of Quakewave now compared to 18 months ago), I’m sure there are many people out there like myself, whose perfect version of the characters is closer to the original toys or comic-book representation of the characters. Whereas a lot of people thought 3P were merely stand-ins, we now have genuine options. No-one can deny that MMC offer a different style with their Ocular Max larger scale Jaguar than the tiny MP offering. No-one can argue that Carry is attempting a COMPLETELY different aesthetic to MP09, even though every fan is more than welcome to argue forever over which one they feel is subjectively “better”. 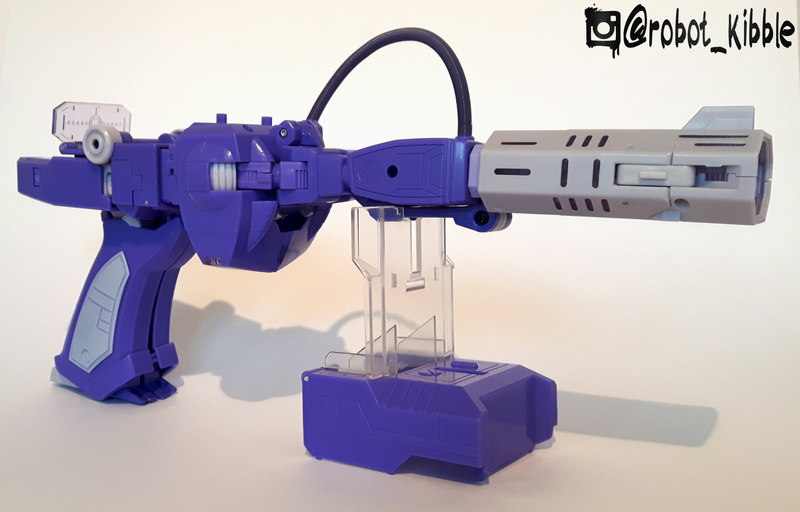 I feel the same thing is in effect here with the Waves; if you grew up loving the cartoon first and foremost, above everything else, then yeah, absolutely certainly MP29 Laserwave is THE Shockwave representation for you. 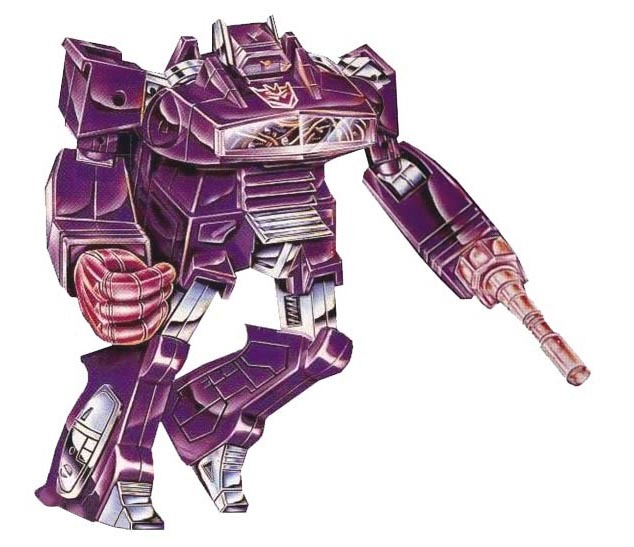 For me, growing up with the comics (including the UK stuff and his fight to the death with Death’s Head), then Quakewave is absolutely THE Shockwave representation I always wanted. Chunky legs and all. And long may it continue. After the fandom seemed to collectively move away from CHUG in favour of MP, I feared there would be a homogenization effect in all our once diverse and eclectic collections towards a one MP range world order, but as the years have moved on, we’ve moved once again towards a myriad and varied collection of different styles fitting into a similar scale. Now, I’m sure this bugs many people, who would argue that MP isn’t just a scale, but a sensibility; a drive towards the perfect on-screen interpretation of their favourite characters. And that might be true for them. But for many others; it’s all about options. Regardless of which group you belong to; what a golden age we live in! 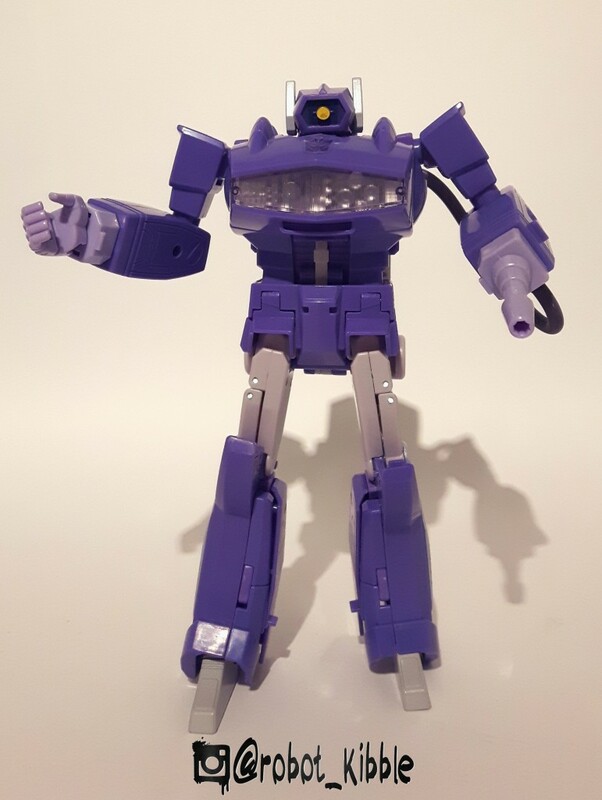 Many 3rd Party and Official Masterpieces are currently available to pre-order or are in stock at Kapow Toys, as well as a wide selection of Shockwave figures.